This article was first published in Sethlui.com on 30 March 2019. 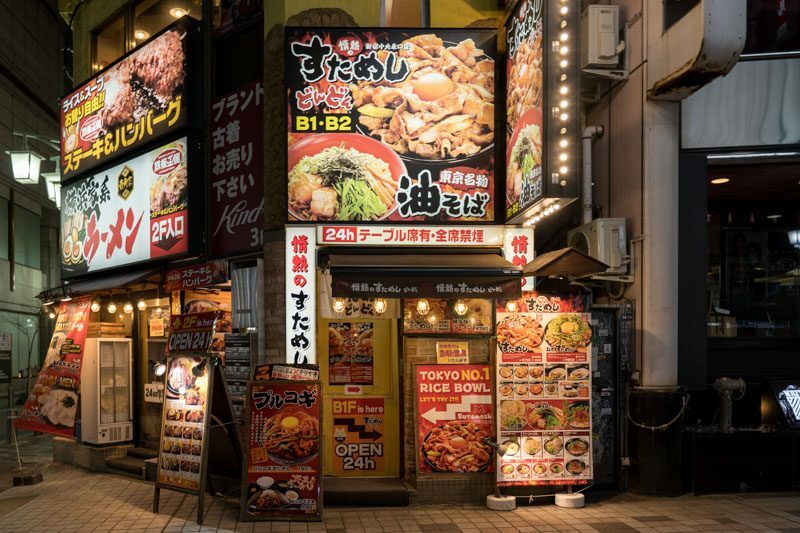 It would be easy to go on about Japan’s robust culinary scene; from exquisite Michelin-starred restaurants and dainty cafes, to hole-in-the-wall diners and random pushcart vendors, there is something for everyone in the Land of the Rising Sun. Diving headfirst into the plethora of food haunts is probably the best way to get to know the city. And what better way than to start in the capital of Japan — Tokyo? 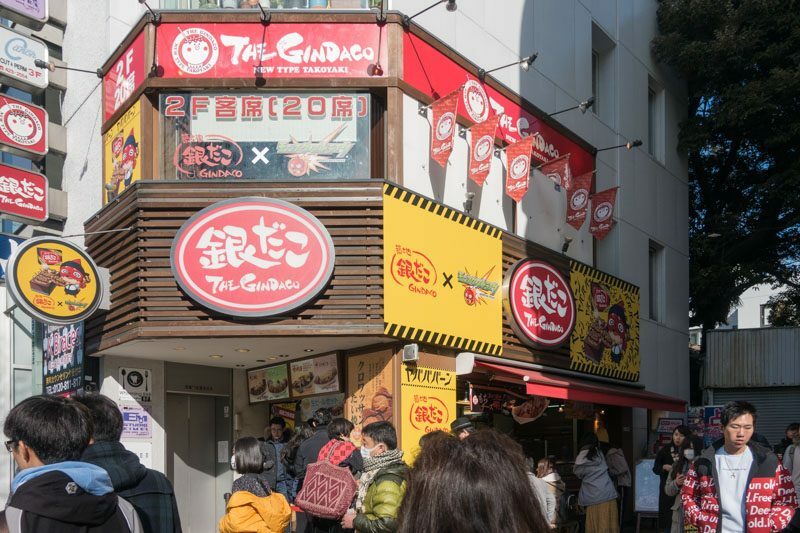 Widely known as the “King of Takoyaki” in Japan, Gindaco Takoyaki was established in 1997, and boasts more than 300 stores around the nation today. 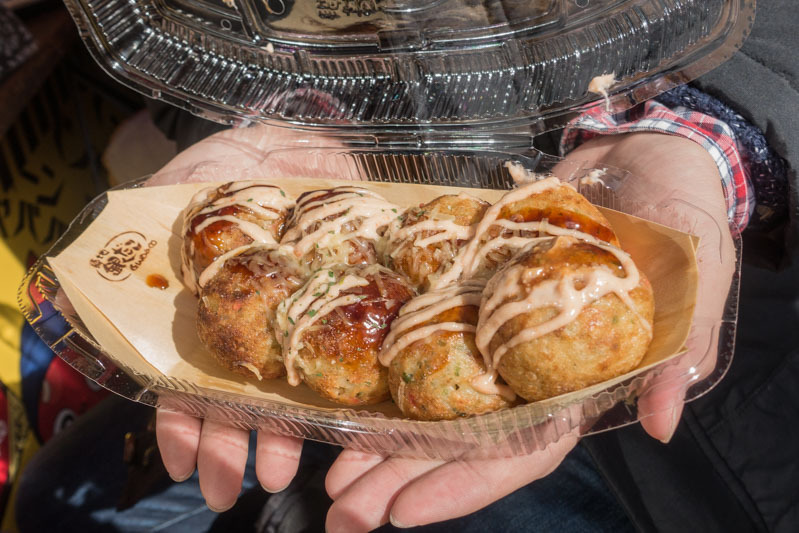 A popular Japanese street snack with origins in Osaka, these octopus balls are made from wheat-flour based batter and filled with diced tako(octopus meat). They are then grilled, doused in special sauces, and finally garnished with katsuobushi (dried bonito flakes) or negi (green onion). At Gindaco, each standard order comes with eight plump octopus balls, which are truly the size of golf balls. Like the true foodies we are, we went for the best-seller: Cheese Mentaiko (¥680). 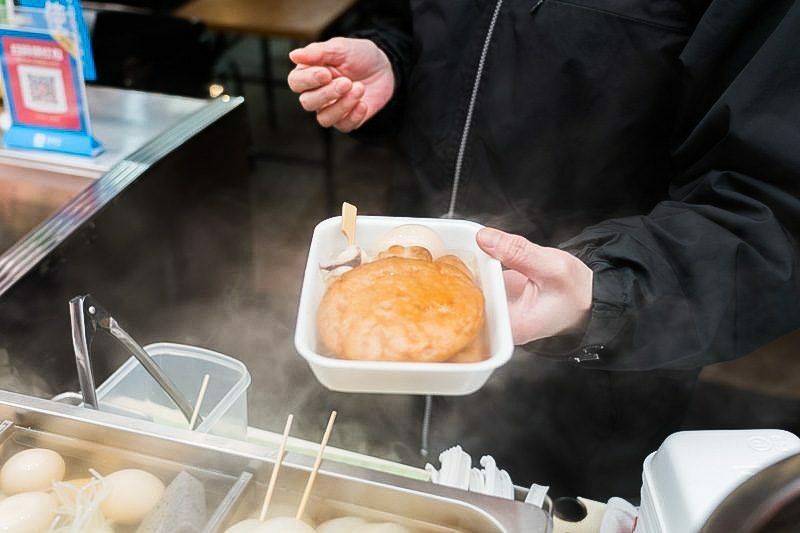 With a slightly crispy exterior, the inside of the octopus balls had a pancake-like fluffy texture, a delectable contrast to the chewy diced octopus. The parmesan cheese and creamy mentaiko dressing, which contained either pollock or cod roe, was rich albeit slightly salty. 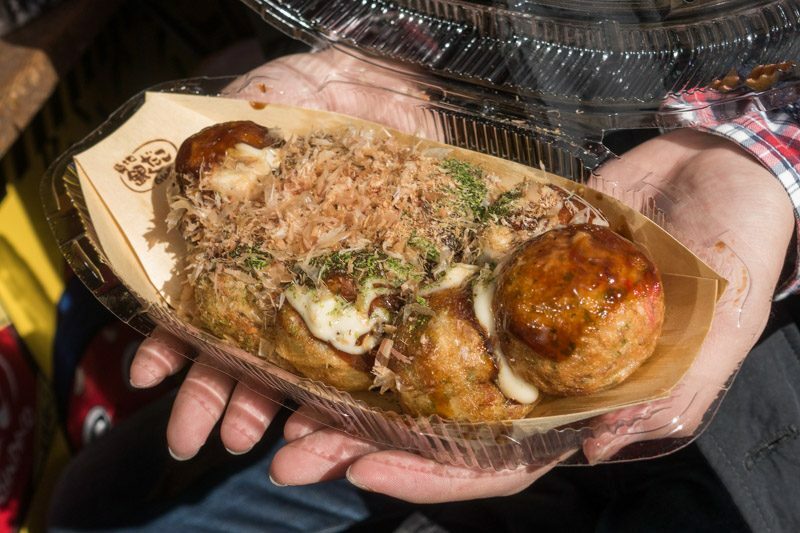 The original Takoyaki (¥580) was smeared with a copious amount of sweet takoyaki sauce, mayonnaise, and finally topped with a generous speck of katsuobushi and seaweed — a must-order when you’re here. 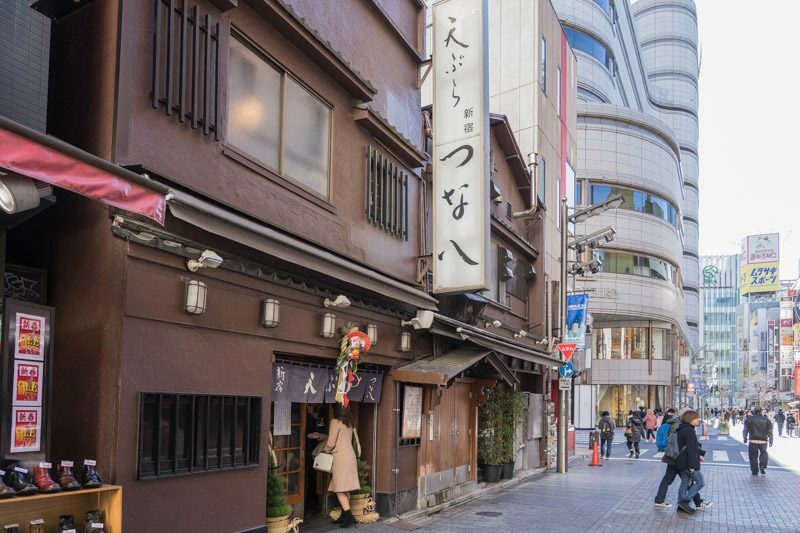 With an unassuming shopfront, Harajuku Gyoza-ro is situated opposite the famous Luke’s Lobster in Harajuku. 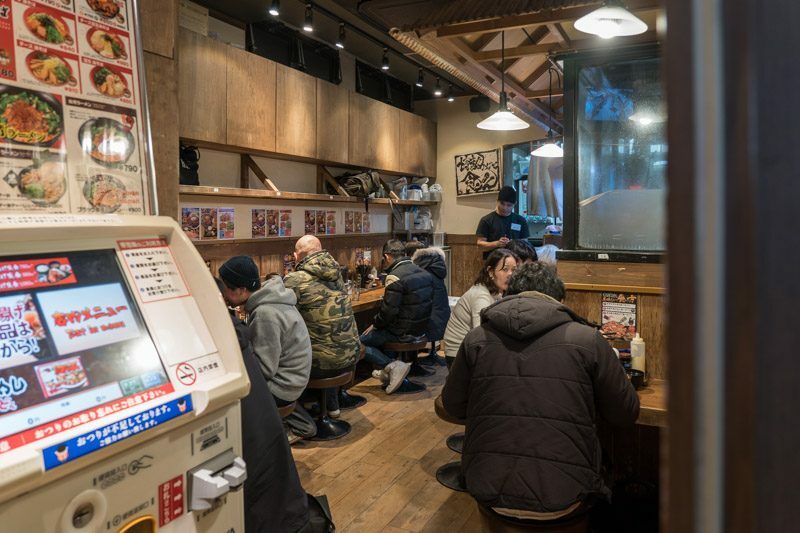 On busy days, the waiting time at this celebrated gyoza bar may take as long as an hour. 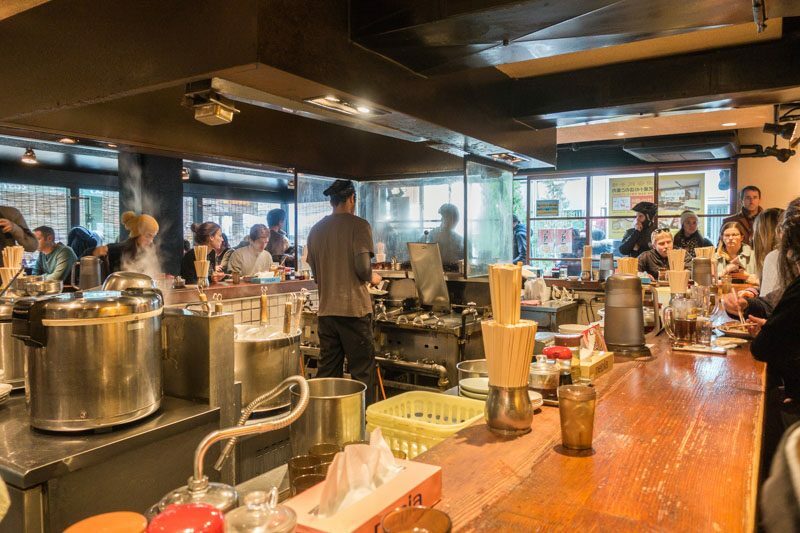 Seating is around an open kitchen in the middle of the small eatery, where you can watch the chefs hard at work making the popular and affordable gyoza. 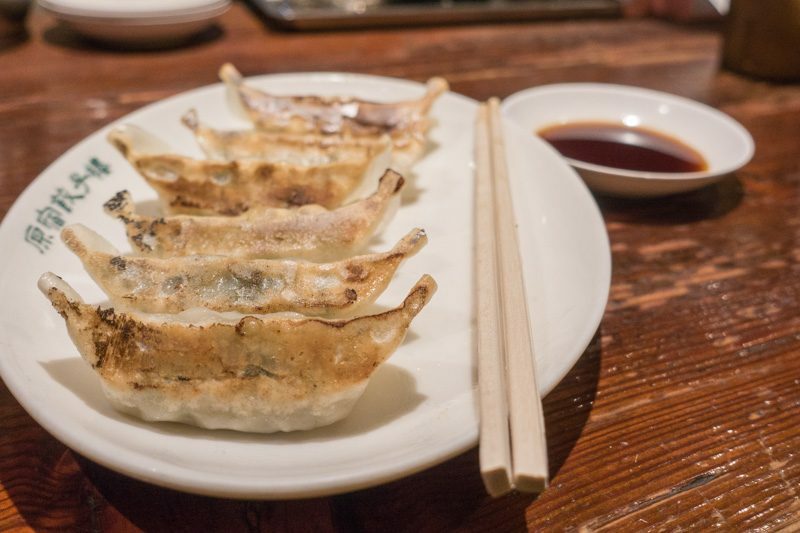 At Harajuku Gyoza-ro, gyoza are the only items on the menu, alongside some simple side dishes including pickled cabbage and bean sprouts. Each order comes with six pieces of succulent pork dumplings and a light soy sauce dip. We could smell the fragrance of the Pan-Fried Dumplings with Garlic and Chives (¥290) even before they arrived. 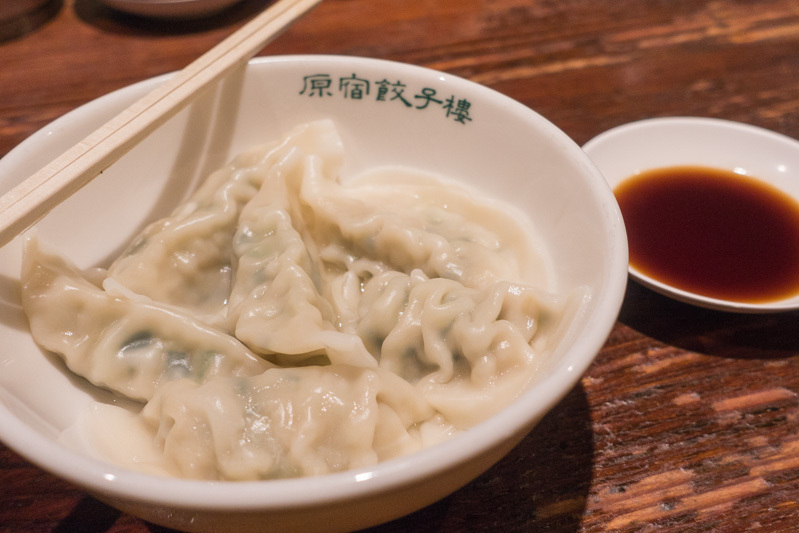 Each dumpling was generously-filled with minced pork and chives, with edges that were nicely charred, delivering a crispy crunch with each bite. These pan-fried dumplings were not too oily and the whiff of smokiness from the slightly charred skin was a bonus too. My favourite of the two dishes we ordered was the Steamed Dumplings with Garlic and Chives (¥290). Like its counterpart, the dumplings were also well-filled with minced pork and chives. The steamed variation was definitely juicier, sweeter, and carried subtle hints of chopped garlic. The only thing missing? Chilli. 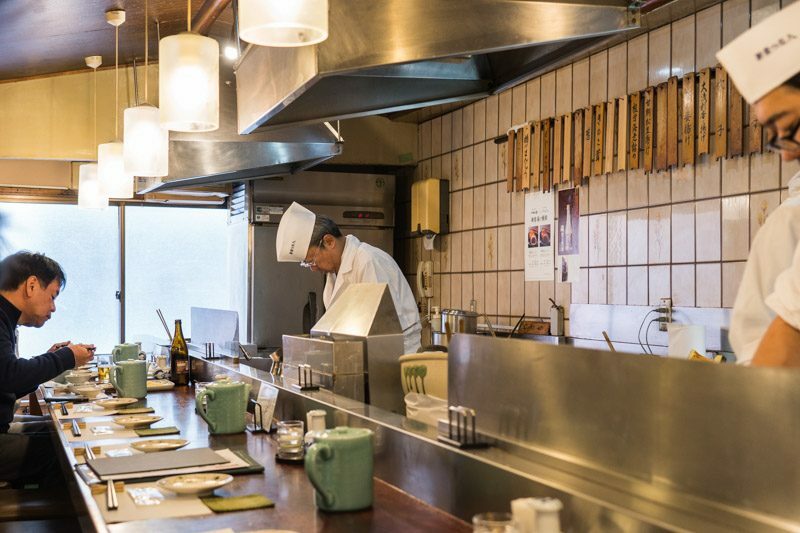 Catering to the hectic working population, standing sushi bars are a dime-a-dozen in Japan. 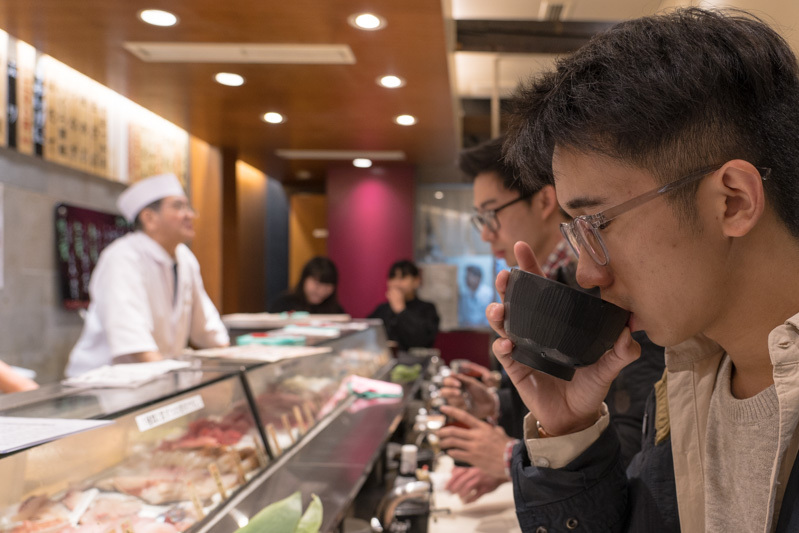 Well-known amongst locals and businessmen in and about Tokyo, Uogashi Nihon-Ichi Standing Sushi Bar is located 10 minutes away from the famous Shibuya crossing. At Uogashi Standing sushi bar, locals and tourists get to savour an assortment of fresh sushi, ranging from the classic nigiri to the boat-like gunkan sushi. Each piece of sushi is delicately hand-pressed by seasoned sushi chefs, who use only the freshest harvest from the sea. 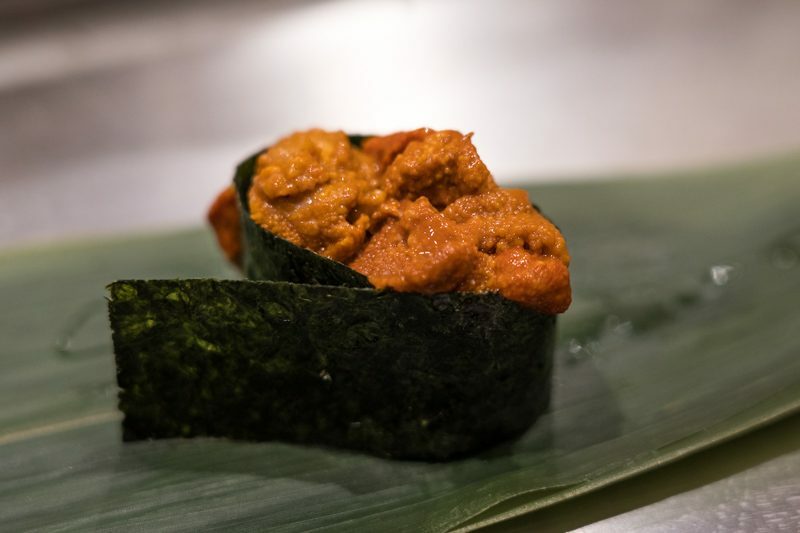 My favourite was definitely the Uni Sushi (¥378), also known as sea urchin sushi, which was decadently creamy, subtly sweet, and slightly briny. Another recommendation to try is the Ama-Ebi Sushi (¥270), otherwise known as sweet shrimp sushi. 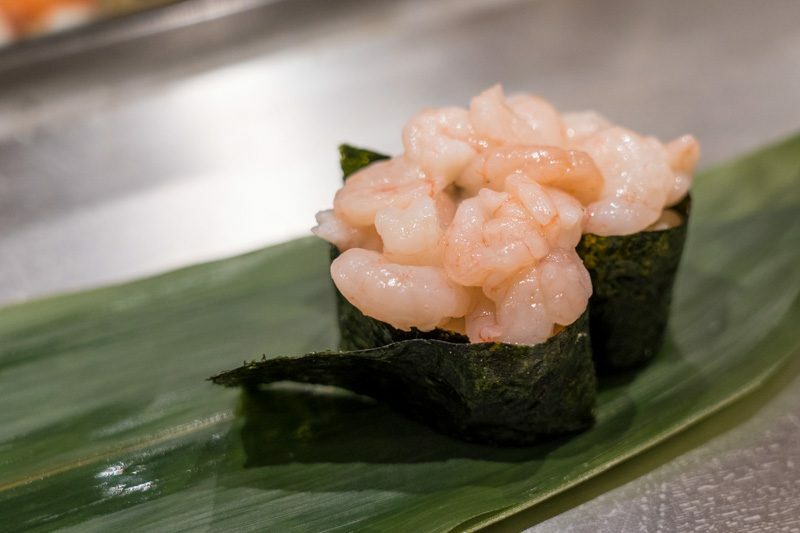 As the name implies, the tiny shrimps were sweet, juicy, and had a melt-in-the-mouth texture. 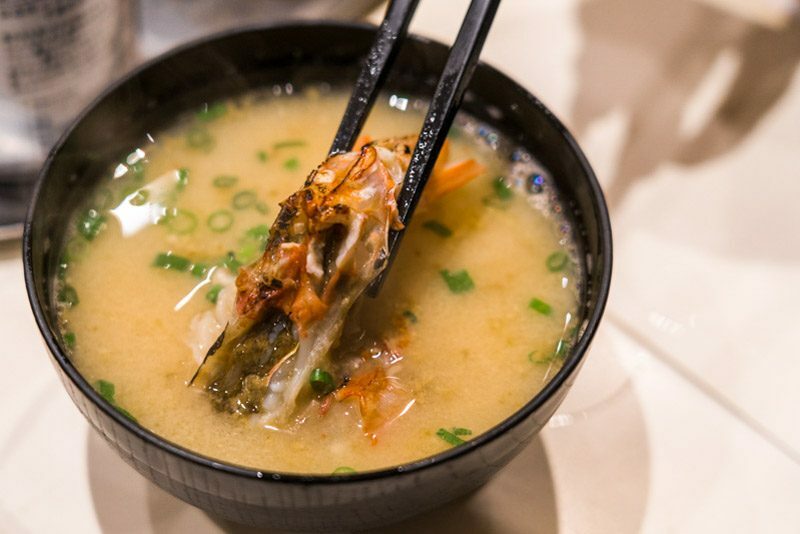 We also recommend ordering the Aka-Ebi Sushi (¥324), or raw sweet shrimp sushi, and asking the sushi chef to stew the prawn head into a bowl of Miso Soup (¥108). The result? A sinful, umami-packed concoction of seafood goodness. 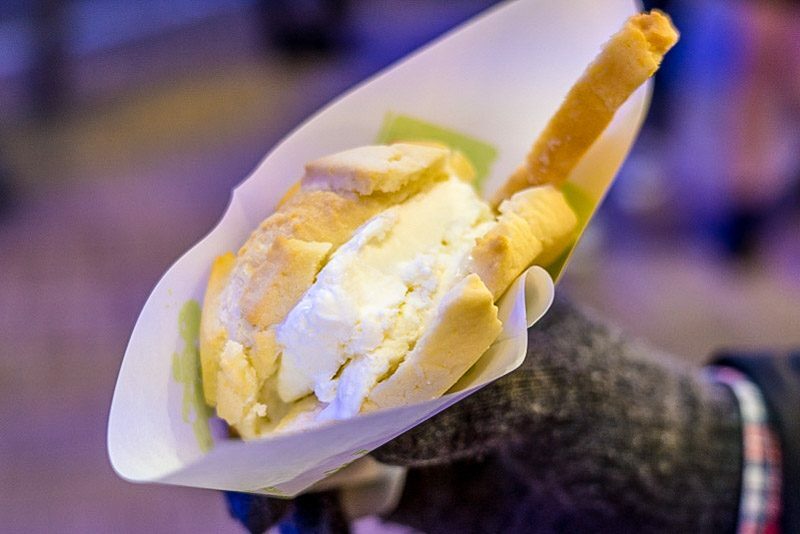 When I first visited the World’s Second Best Freshly-Baked Melon Pan Ice Cream in Osaka, many were bracing the chilly winter and queuing to savour this classic Japanese sweet bread. One year later, a similar sight greeted me in Tokyo. Despite a crust that resembles the rind of the melon, this classic Japanese pastry is not melon-flavoured. Like the Mexican pastry conchas, the melon bun has two layers — the bread roll and a crispy crust. The latter is made from cookie dough. 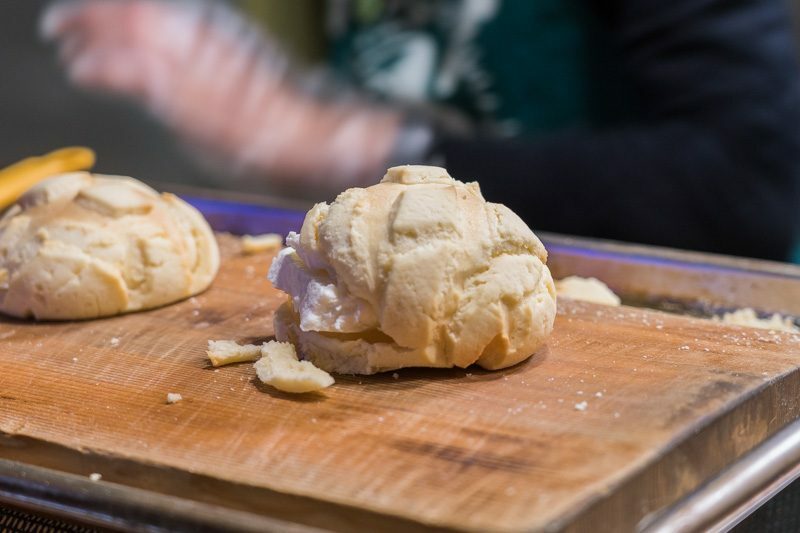 We tried the Original Flavour Melon Bun (¥400) which encased a serving of vanilla ice cream, like the typical Singaporean ice-cream sandwich, and a piece of sugared biscotti. The buns were crispy on the outside yet fluffy on the inside. The toasty, buttery and slightly salty rusk complemented the sweet vanilla ice cream, making it the perfect dessert for all occasions, be it on a chilly winter day or a sweltering summer day. In between vintage thrift shops and modern diners along the streets of Harajuku, the subtle aroma of warm roasted coffee from a hipster red-brick building is steadily attracting coffee-enthusiasts from all walks of life. 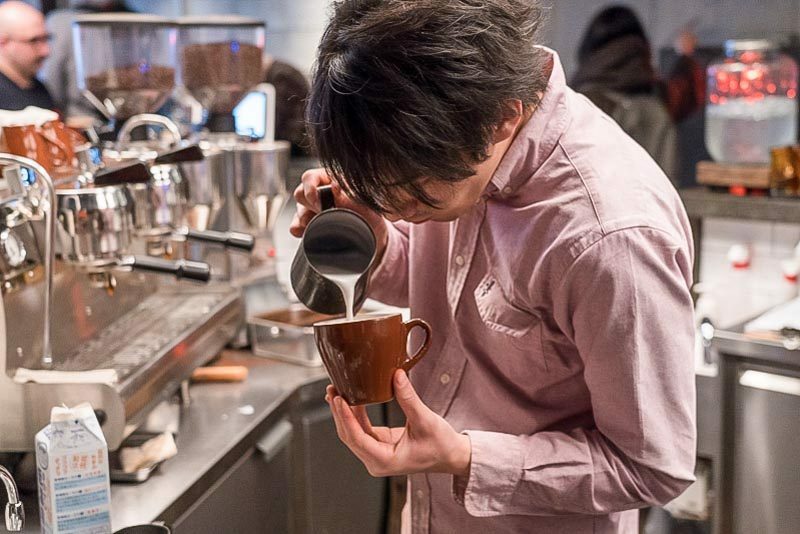 One of the best coffee haunts around Harajuku and Shibuya, baristas work their magic in the Roastery by Nozy Coffee, one cup of single origin coffee at a time. 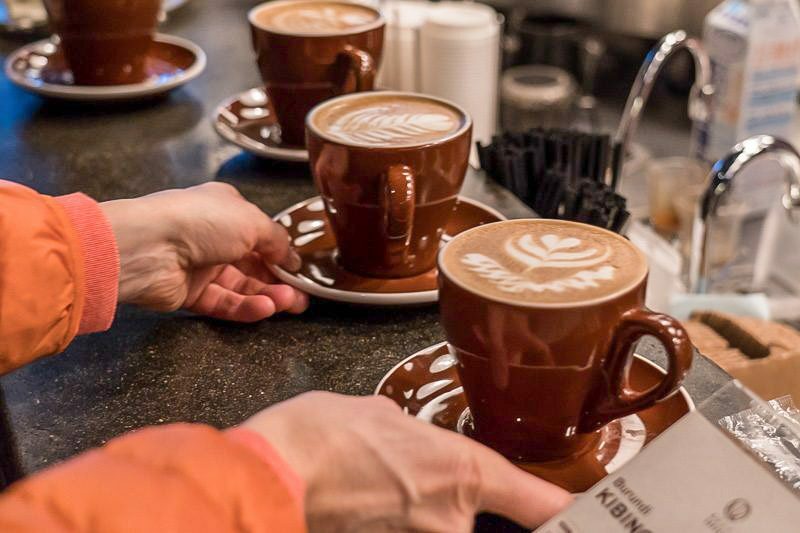 The open-air cafe counter offers an inviting showcase for those who yearn to catch a glimpse of the enthralling craft of coffee-making, while affable baristas are more than willing to chat about any of your coffee-related queries. 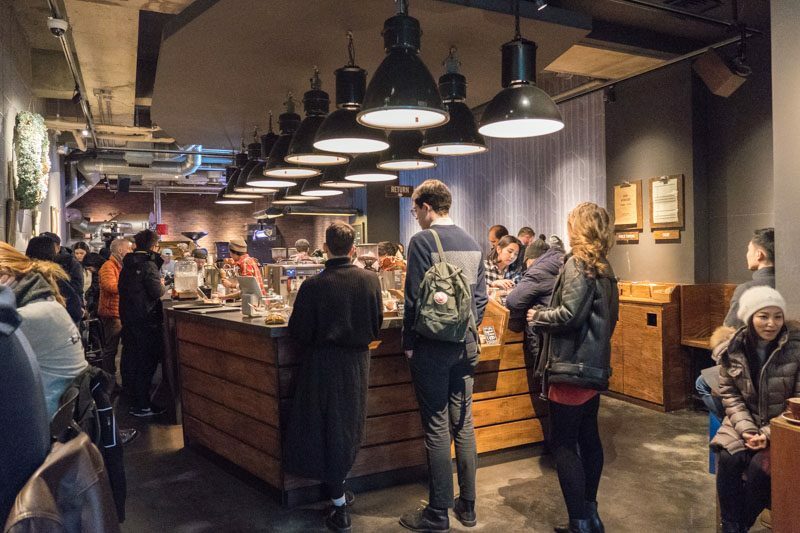 With a daily rotation of single origin coffee, customers can only choose from two blends off the blackboard at the counter. Four selections of coffee are available: Hand Brew (¥650), Espresso (¥480), Cafe Latte (¥580)and Americano (¥530). When we were there, we ordered the latte which had coffee beans with origins from Costa Rica. The latte was smooth, round and had a sweet hint of raspberry. To say the experience here was interesting would be an understatement; this is a cafe that strives to spread the single origin gospel and educate the public on coffee appreciation. 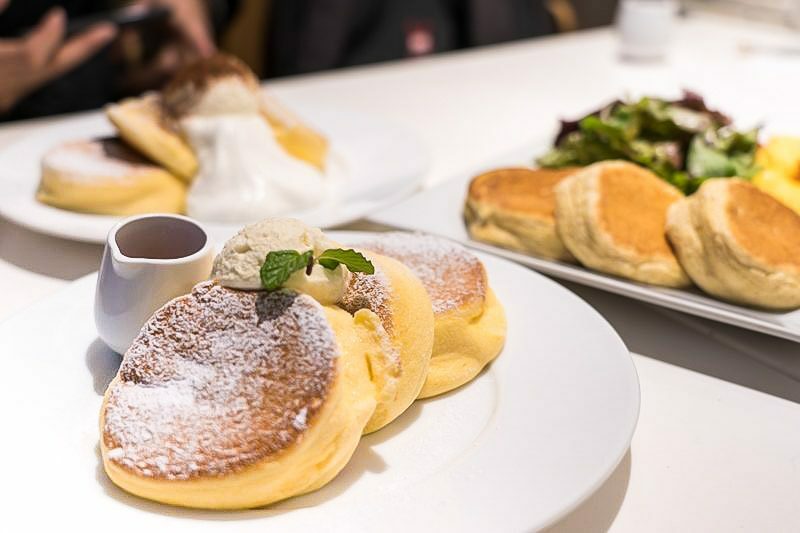 A popular dating haunt in Japan, Japanese dessert parlour A Happy Pancake is often patronised by young lovebirds, bands of school girls, and office ladies. 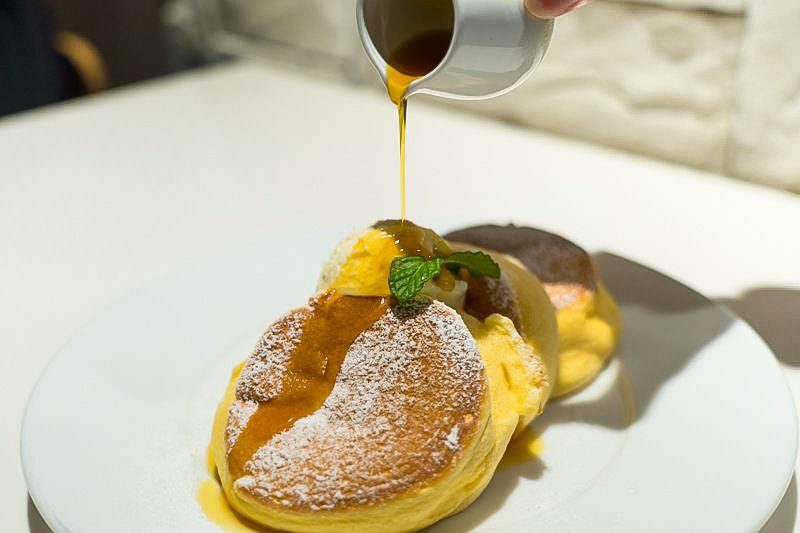 And as its name suggests, this dessert parlour serves happiness in the form of fluffy souffle pancakes. 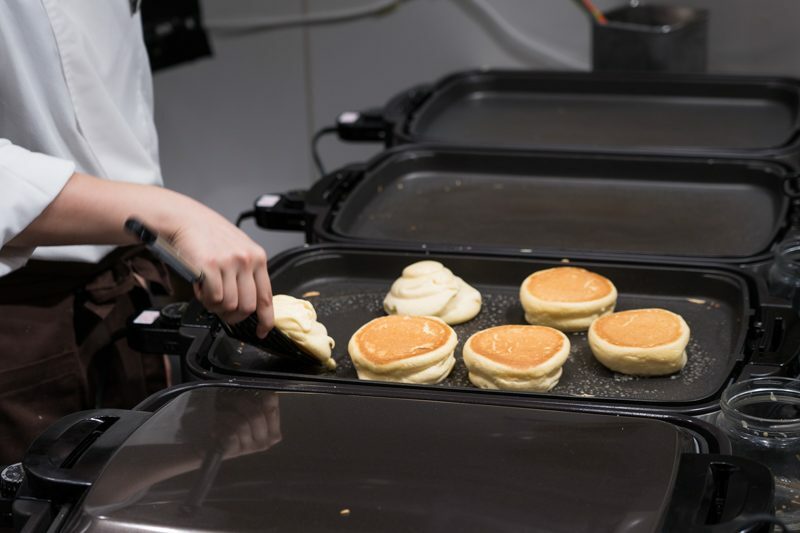 The kitchen space is separated by a panel of glass, which allows customers to spectate in anticipation as patissieres prepare the heavenly pancakes. 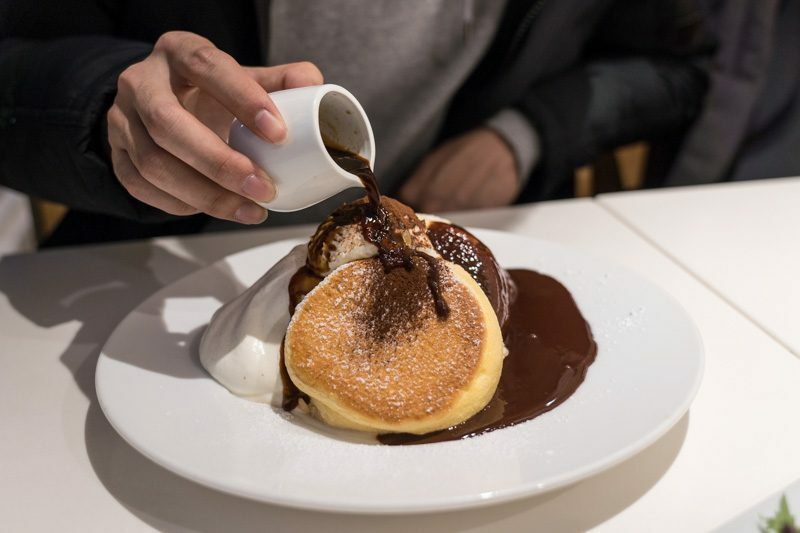 Arriving precariously stacked on top of one another, The Happy Pancakes (¥1,180) features three freshly-toasted souffle pancakes garnished with icing powder and a side of bitter caramel syrup. Given its visually appealing aesthetic, or as the Japanese call it, ‘kawaii‘, I was initially reluctant to devour the dessert. But when I finally dug in, I was greeted with a delightfully fluffy centre. The pancake itself was slightly moist, decadent and, to my surprise, mildly sweet too. My companion ordered the Tiramisu (¥1,480), which was also served in a stack of three fluffy pancakes but with a dollop of hot chocolate and a scoop of mascarpone cream on the side. 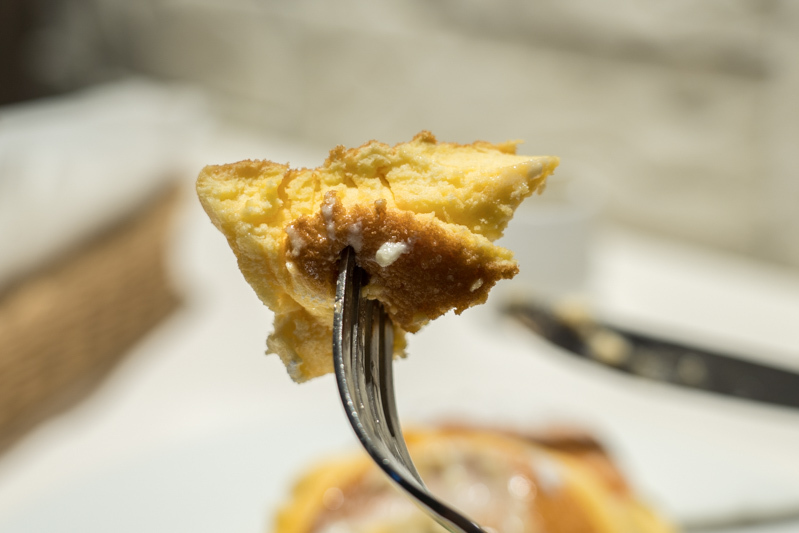 The real magic happened when we drenched the toasty pancakes with a shot of hot espresso, transforming the already sinful dish into a more aromatic one. Needless to say, we fell in love with the balance of flavours between the bitterness from the chocolate syrup and espresso and the light creamy texture of the sweet mascarpone. For decades, artisanal American coffee roasters have gained much popularity in Japan. 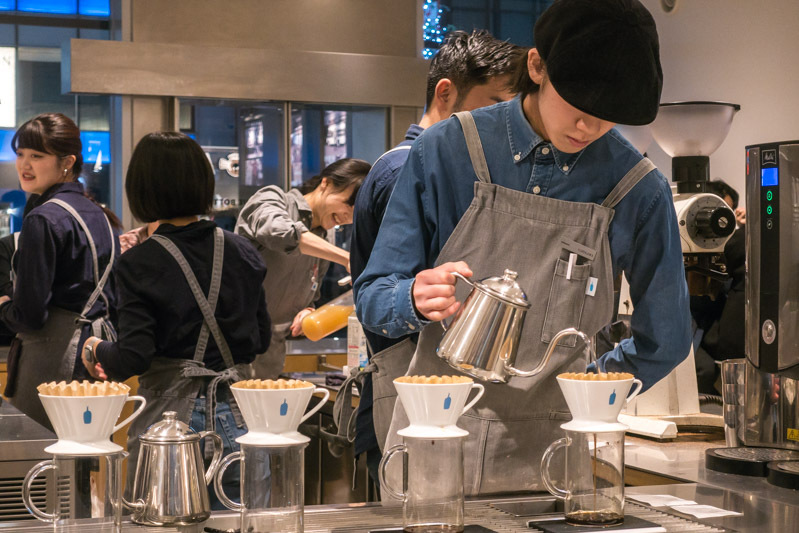 The California-based Blue Bottle Coffee is one such coffee roaster that is well-loved by many Japanese and unsuspecting tourists alike. 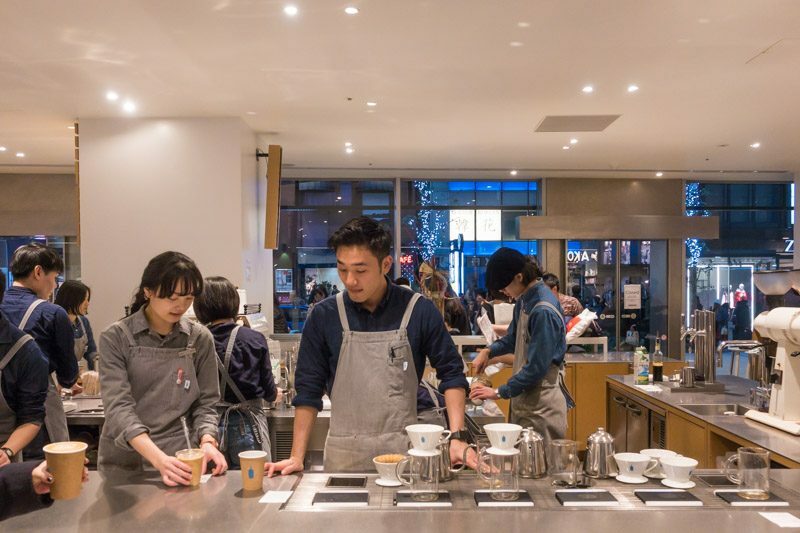 Situated near one of Japan’s busiest districts, the baristas at Blue Bottle Coffee work hard to give dedicated customers their caffeine fix. Some are even willing to queue for more than four hours! 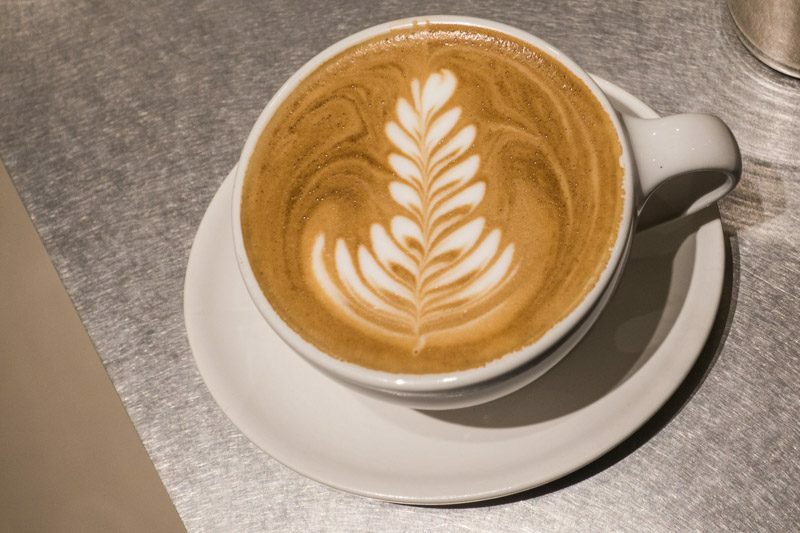 Serving up fine coffee from delicious and responsibly-sourced coffee beans, Blue Bottle Coffee’s founder’s longstanding philosophy of selling coffee less than 48 hours out of the roaster is what continues to attract a steady line of customers. Customers can choose to have Espresso (from ¥450), Drip Filtered (from ¥450) or Iced Coffee (¥500). My Hot Latte (¥520), which was smooth and contained nutty notes, was well-worth the 15-minute wait. Tempura is a dish that needs little introduction. Running the gamut of battered vegetables to battered fresh seafood, these fried fritters form a unique dish that’s been around since the 16th and 17th century, when oil was precious and deep-fried dishes remained a luxury. 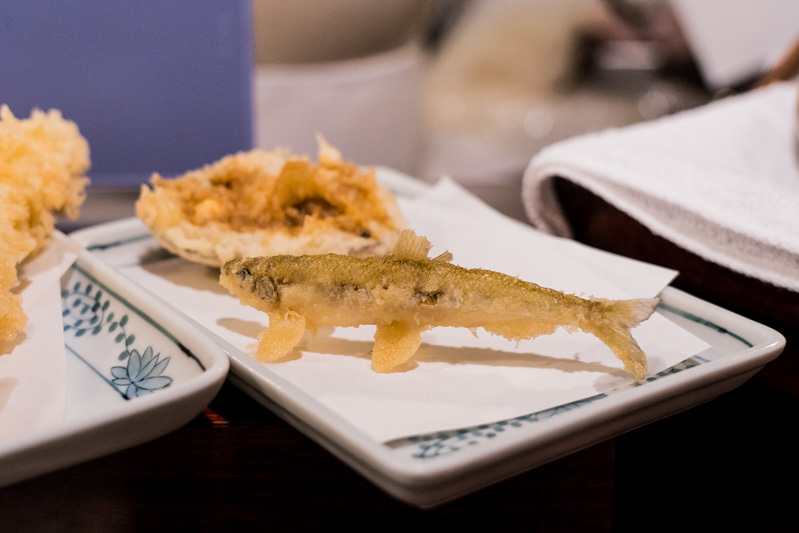 Pledging to use only the finest ingredients, best oil, and the most refined craftsmanship, tempura restaurant Tsunahachi has become a staple favourite amongst many since its founding in 1923. Seats by the counter offer the best spot to witness some of the most experienced chefs demonstrate the craft of the battered fry. Here, chefs offer little room for conversation. 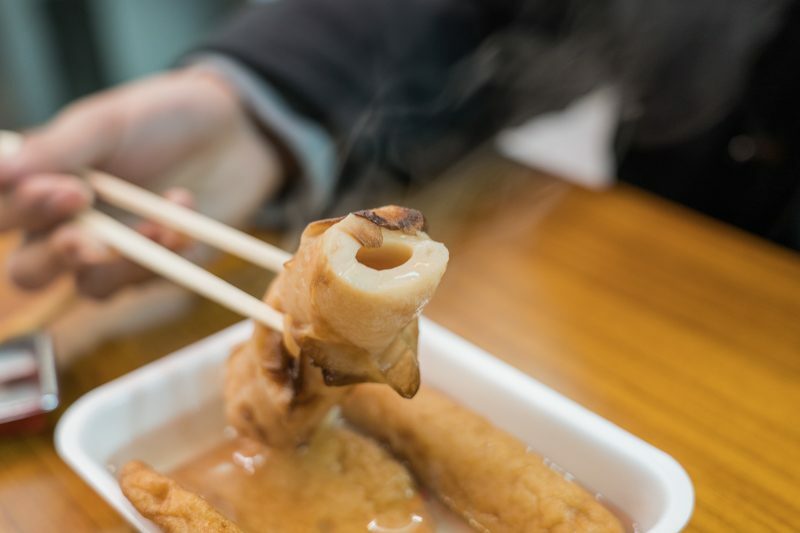 Instead, they communicate through showmanship: shucking prawns, slicing yasai (greens), skinning eels, dipping ingredients into its unique batter, and frying them in sesame oil till golden brown. Set menus here start from ¥2,484. I ordered the Utage Set (¥5,400), which comprises Japanese tiger prawns, squid, seasonal fish and vegetables, shrimp with shiitake mushroom filling, and kakiage (deep-fried small shrimps). 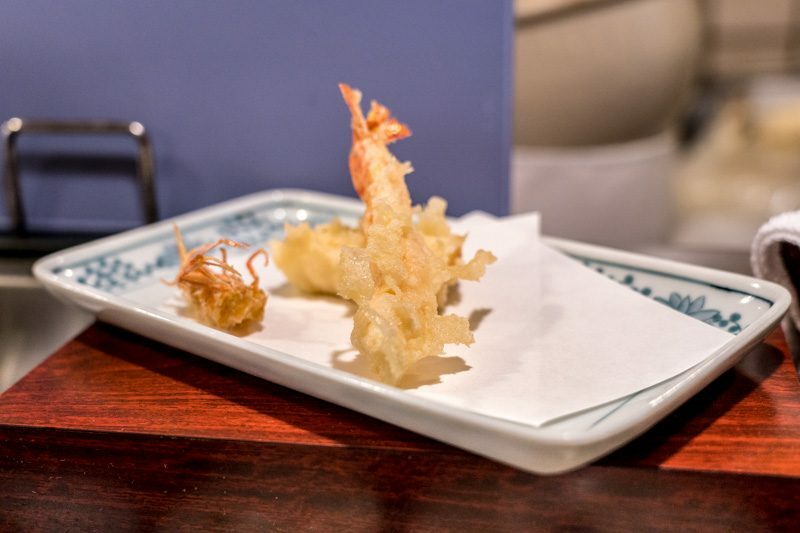 Each piece of tempura was crispy, light and not greasy; highlighting the freshness and quality of the ingredients used. My favourite? Definitely the tiger prawns, which were plump, juicy and wholly addictive. The three-storey restaurant in Shinjuku is often crowded during lunch and dinner hours, and we recommend heading earlier to avoid the queue. Jonetsu no Sutameshi Don Don was an unexpected discovery made by three hungry Singaporean men in the early hours of the morning. Serving up “stamina rice bowls” to anyone looking to recharge after a weary day, this 24-hour hole-in-the-wall diner is what I call an underrated treasure. 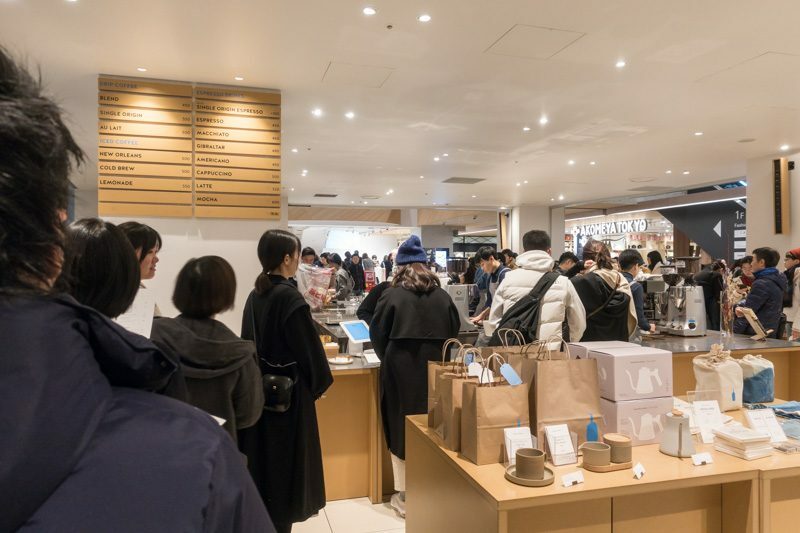 Here, customers are first required to walk across a narrow corridor, order their food from a classic Japanese food ordering machine, before getting a table at one of the two floors. 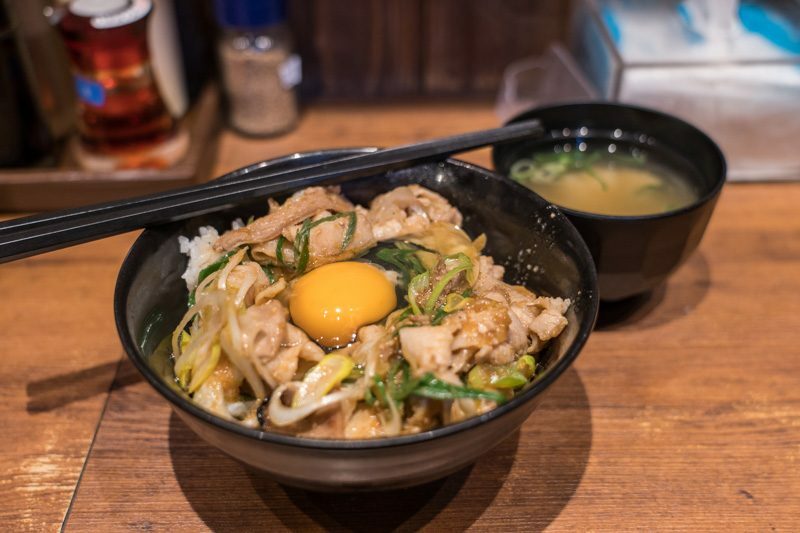 The diner serves up Sutameshi Rice Bowls (from ¥550), which are topped with a generous serving of sliced pork, onions, and a raw egg, before being drenched in thick soy and garlic sauce. Each order of a rice bowl also comes with miso soup. After adding some chilli flakes and mixing the tender pork slices up, we chowed down the creamy, savoury rice bowls in no time. With its strong garlic flavour and subtle greasiness however, we recommend getting a drink to go along with the meal. No trip to Japan is complete without paying a visit to a ramen diner. 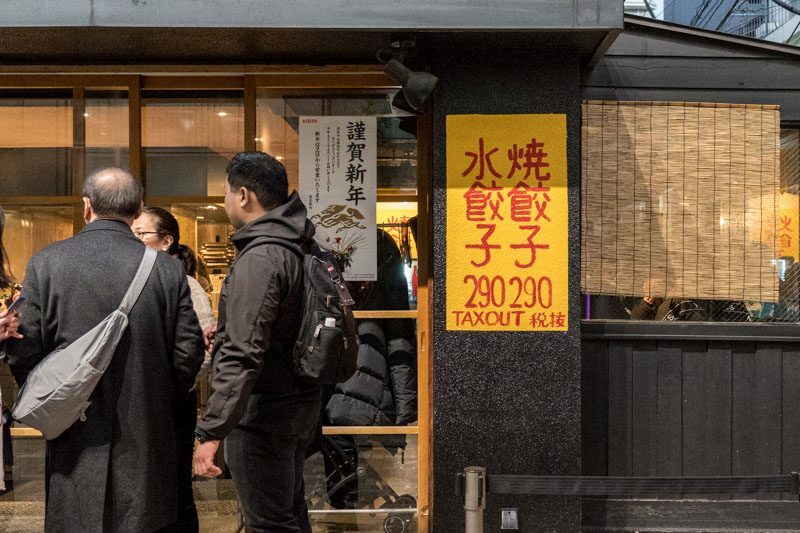 We stopped by one of the branches of the famous Ichiran Ramen in Tokyo to enjoy the dish in a peculiar, private ramen dining experience. 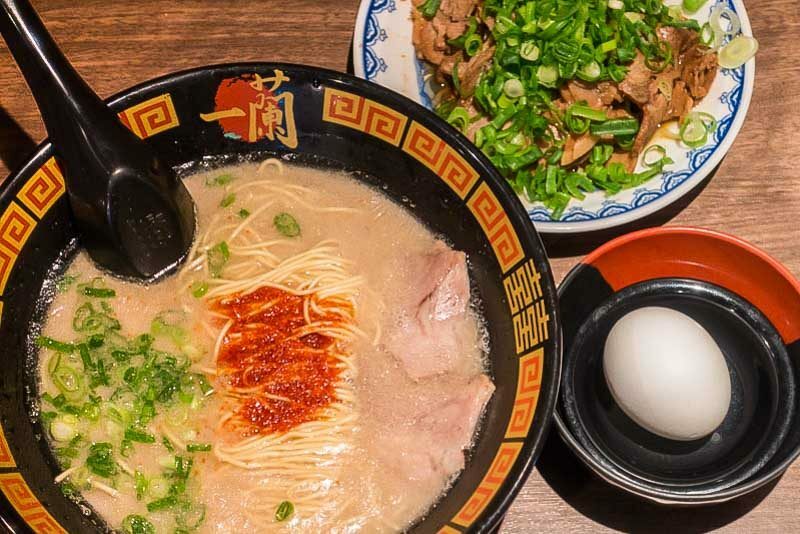 In most Ichiran Ramen stores in Japan, customers get to customise their bowl of Tonkotsu ramen —according to preference of noodle type, spiciness, and flavour strength — before enjoying it in an individual private booth. The Tonkotsu Ramen (¥890) comprises thin, springy noodles served in a thick, creamy, and collagen-rich Tonkotsu broth (pork bone broth), with chopped green onions and two tender slices of Cha Shu (sliced pork). You can get an egg (¥130) on the side as well. 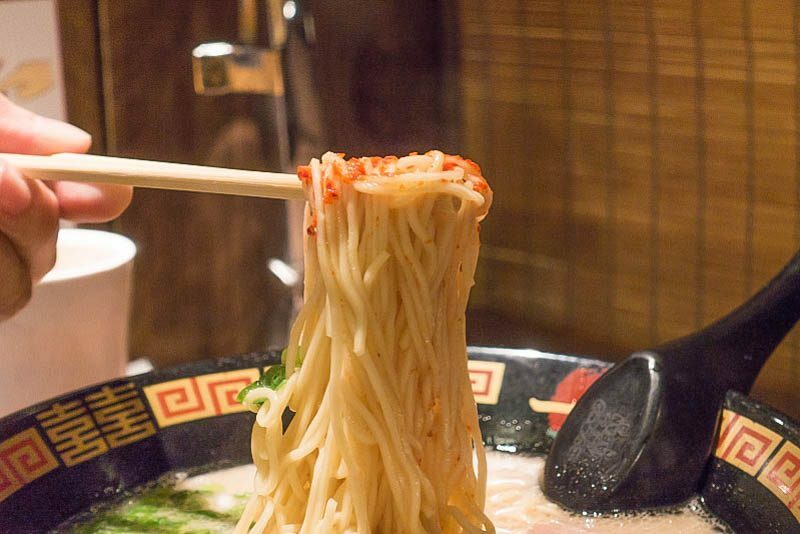 As expected, Ichiran did not disappoint with its rich, hearty broth and non-cloying noodles, and we soon found ourselves slurping noisily away and devouring the soup to the very last drop. 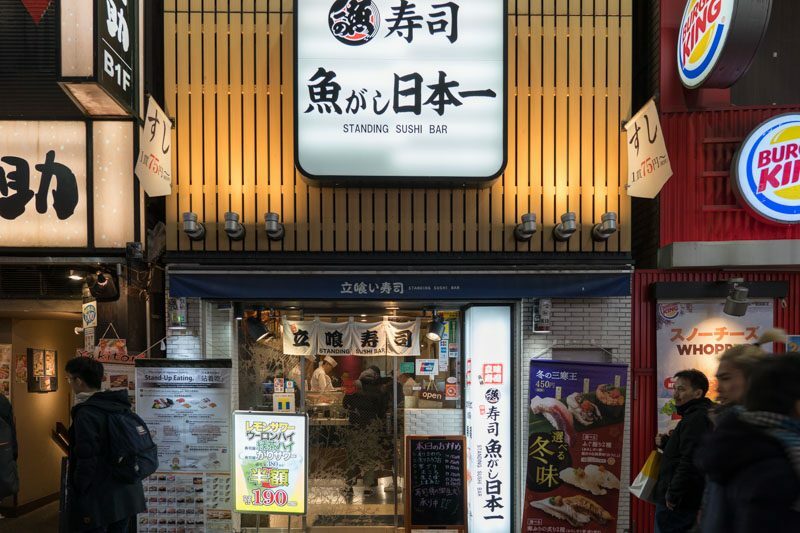 We recommend visiting the outlet in Nishi Shinjuku from 28 February 2019 onwards to enjoy Ichiran’s all-new no-pork ramen. 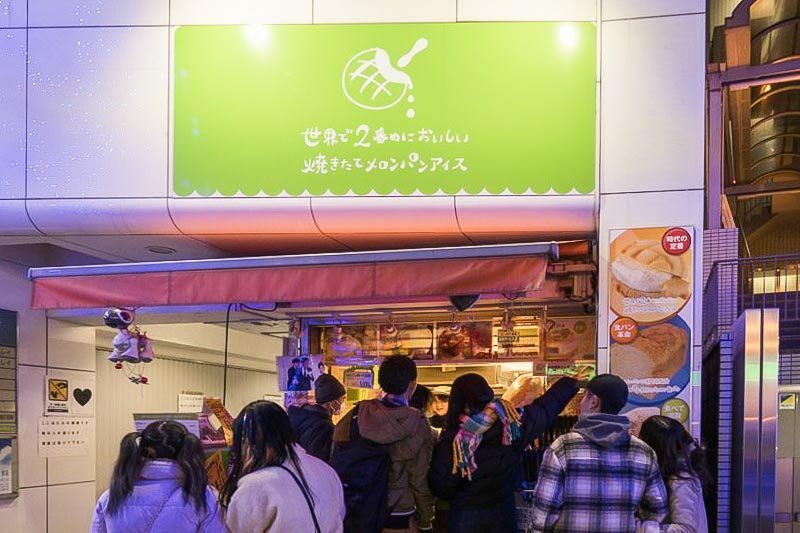 Whenever I’m in Japan, I make it a point to search for pushcarts serving oden near train stations or crowded streets, where they are frequently sighted. Unfortunately, I was unable to relish the dish in the crammed confines of a street vendor this time around, but read on for suggestions on where else you can go. This Japanese one-pot dish is similar to our yong tau foo dish in Singapore. It includes an umami-packed dashi broth and an assortment of ingredients, ranging from fish cakes, to quail eggs, daikon (radish), and more. The myriad of ingredients offered at each vendor differs, but they are usually affordable when purchased in convenient stores, markets or from pushcart vendors. 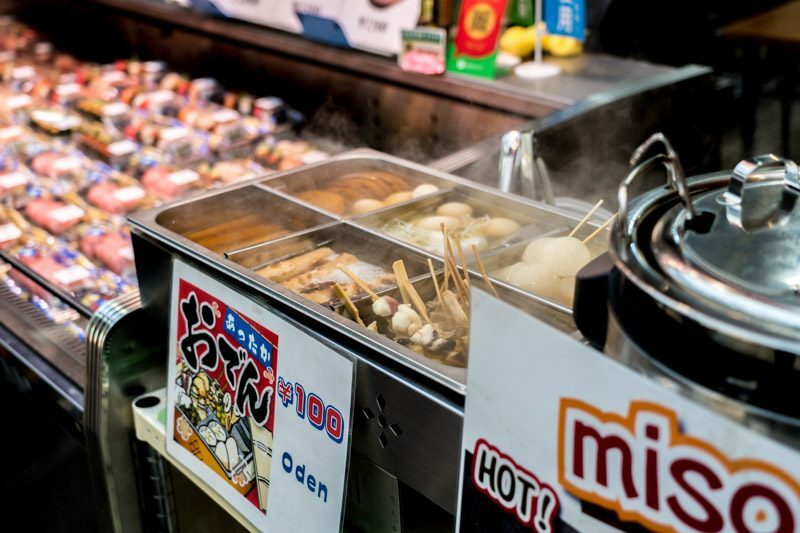 If you can’t find them on the streets though, I’ve included suggestions of oden restaurants in Shinjuku below if you’re dying for some steamy goodness and don’t mind paying a bit more. Itadakimasu!